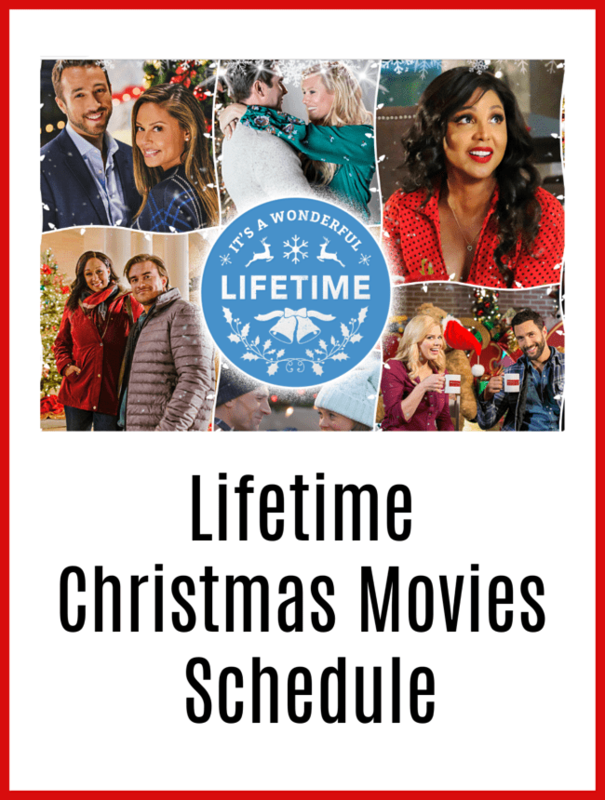 Lifetime has released their holiday movie schedule for 2018. Here are the Lifetime Christmas Movies you can expect to find through December, if you want to make sure to catch these feel good movies. You can find the full schedule on Lifetime here too. You could even work a movie night in as one of the 25 Days of Christmas activities, if you are doing something like that with your family this year. A Twist of Christmas: 8 p.m.
Love for Christmas: 10 p.m. The Christmas Pact 8 p.m.
A Star for Christmas: 10 p.m.
Christmas Lost and Found: 8 p.m.
A Christmas in Tennessee: 8 p.m.
Christmas Around the Corner: 8 p.m.
Christmas Pen Pals: 8 p.m. Hometown Christmas : 8 p.m.
A Christmas Kiss: 8 p.m.
A Golden Christmas: 8 p.m.
3 Holiday Tails: 8 p.m.
Do you have a favorite on this list you would recommend that other folks don’t miss?